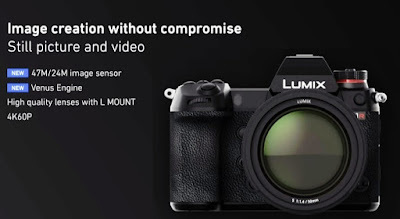 Panasonic Corporation has developed two models of its first Digital Single Lens Mirrorless camera with a 35 mm full-frame image sensor: the S1R and the S1. These models are equipped with the world's first*1 4K 60p/50p video recording function and the Dual I.S. image stabilization system. 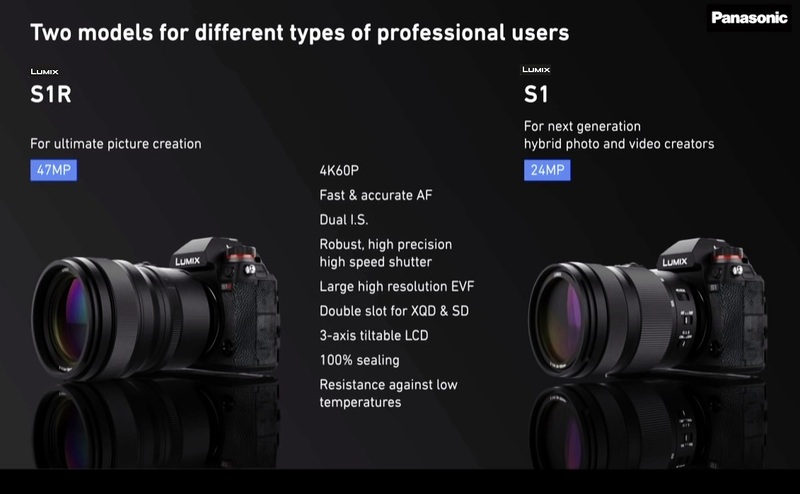 As part of the LUMIX S series, Panasonic aims to release them on the global market next spring, as announced during Photokina 2018. For 100 years, Panasonic has strived to help realize better lives for customers around the world by responding to their needs. Working on the concept of creating a new culture of photography for a digital age, in 2008 Panasonic released the G1, the world's first*2 Digital Single Lens Mirrorless camera. Over the last ten years, Panasonic has continued to lead the industry with product innovations. This has included the world's first*3 camera supporting 4K video recording, and cameras equipped with the Dual I.S. image stabilization system; combining stabilization both inside the camera unit and the lens. Against this backdrop, Panasonic adopted the concept of ‘Fuel the Photographers' creative vision’ to develop a Digital Single Lens Mirrorless camera with a comprehensive focus on this need. These cameras will form the LUMIX S series with a powerful sense of striving to provide specialized value to customers desiring high expressiveness. 2. World's first*1 support: for 4K 60p/50p video recording in a full-frame Digital Single Lens Mirrorless camera. 3. 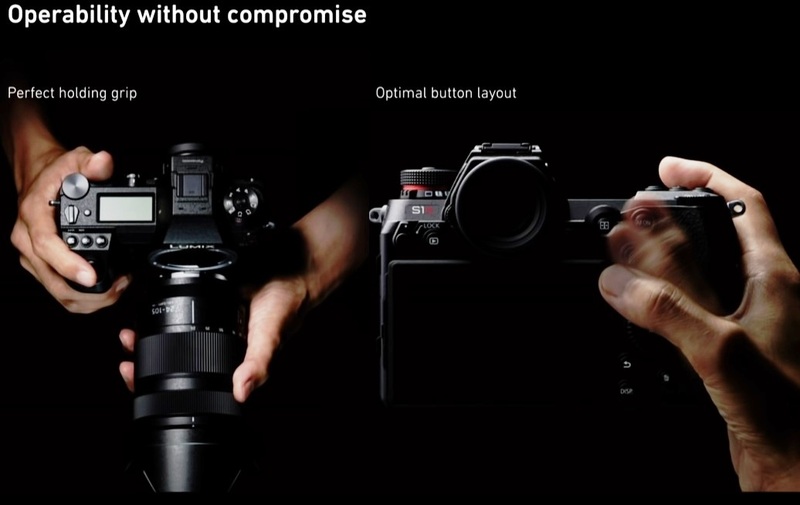 World's first*1 full- frame camera equipped with Dual I.S. image stabilization: enabling handheld shots for dark or distant scenes that would previously have required a tripod or other equipment. 5. A rugged triaxial tilt LCD: emphasizing ease of use and supporting professional photography and videography. 6. An unlimited scope of applications: Leica Camera's L-Mount, making it possible to use replacement lenses that meet the L-Mount specifications of the partners*4 Leica Camera and Sigma. Expressiveness is further enhanced by increasing options for replacement lenses. 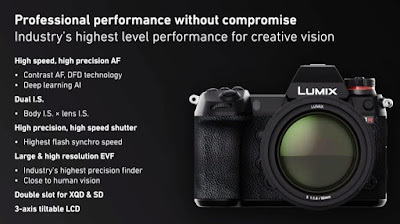 For the LUMIX G series of Micro Four Thirds Digital Single Lens Mirrorless cameras, Panasonic will begin developing a Leica DG VARIO-SUMMILUX 10-25 mm F1.7 lens that will achieve the world's first*5 zoom with a constant aperture value of F1.7. On top of this, the support services for professional photographers and videographers, which started in Japan in April last year, will be available in selected European markets and the United States this fiscal year. 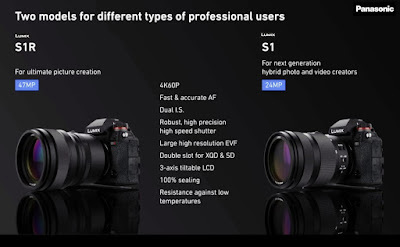 The GH5, G9, and GH5S high-end Digital Single Lens Mirrorless cameras that Panasonic has steadily released since 2017 have already gained a solid reputation among professionals and high-level amateurs across the world for the quality of their pictures and ability to capture the vitality and beauty of life. 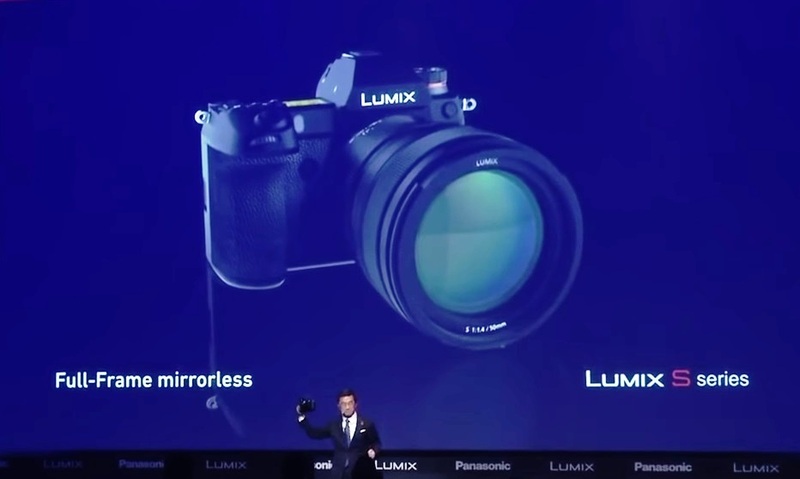 This success is thanks to Panasonic's world’s-first*6 support for 4K 60p/50p video recording, and the world's fastest autofocus*7 function using the company's proprietary DFD technology.